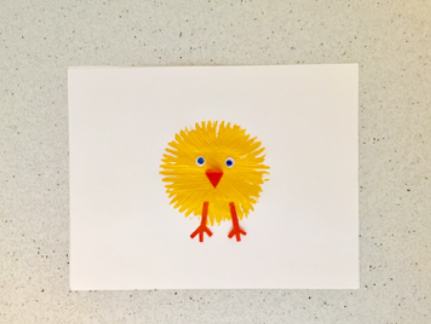 These adorable spring chicks are so easy and fun to make. 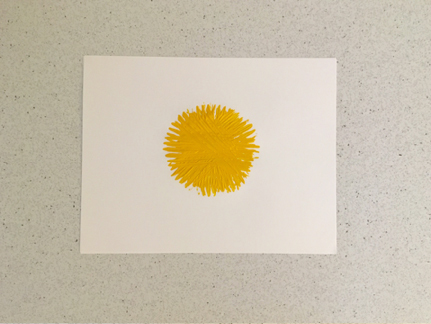 My kids all enjoyed this craft…from my three-year-old to my nine-year-old. 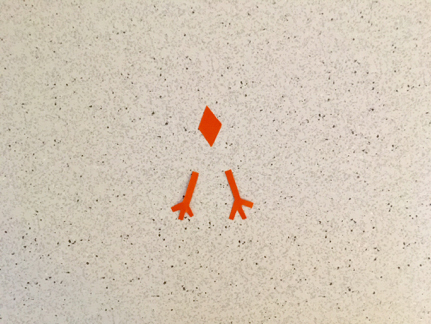 Cut a diamond shape (for the beak) and legs out of the orange construction paper. 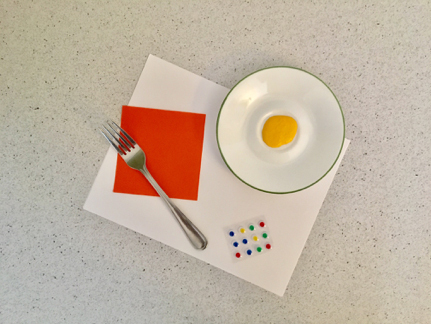 Dip the fork in the yellow paint and use it to stamp a circle on the paper, with the tongs of the fork facing the outer edge. Wait for the paint to dry. Once the paint is dry, glue the googly eyes, beak, and legs in place. That’s it! Hang your cute little chicks on the wall for everyone to see. Hi my name is Kyla and I am the owner of MyFUNvelope. I have six wonderful children who keep me busy and love to craft and discover just like their mom! MyFUNvelope is a Canadian craft subscription box delivering fun to children ages 3-9. Our mission is to provide an affordable craft subscription that inspires children and keeps them interested and engaged. Each month, we deliver a themed craft kit right to your door. Each Myfunvelope contains 4 crafts or activities, one STEM (science, technology, engineering, and math) activity to promote hands-on learning, a learn-to-draw card, and a paper craft. Markers, scissors, and glue dots are also provided. MyFUNvelope was created by a busy mom for busy moms! We aim to create kits that are fun for kids and stress-free for moms with little mess. I promise no glitter!!! We also send glue dots instead of glue to make it easier for smaller children to craft independently. We are passionate about our company and its mission. We would love to hear any feedback or suggestions you may have for us.